Election results reveal the true colors of the Democratic Party. After Cortez’s victory drew national attention, people began asking: Who is she and where did she come from? She is a 28-year-old half Puerto Rican former waitress who studied economics and international relations at Boston University. She began her political career supporting Sen. Bernie Sanders’s presidential campaign in 2016. She started her own campaign last year while paying off student loans and working at a restaurant. Her campaign promises include universal health care, jobs for every American, and the abolition of the U.S. Immigration and Customs Enforcement agency. Cortez is an avid people-powered campaigner, rejecting corporate money and support. She would rather win over the masses than pinpoint the few who can buy influence. By calling for such a command economy, Cortez is fostering a dangerous trend. The American Culture and Faith Institute conducted a survey suggesting that 4 in 10 Americans believe they would prefer socialism to capitalism. The majority of socialism’s supporters are from the younger generation, with 52 percent of millennials polled saying they would prefer socialism to capitalism. Since millennials make up over 20 percent of the country’s population, up to 35 million people may want to try out a socialist government. A new generation thinks that democratic socialism will be different from communism. But without the checks and balances of a constitutional republic to limit government power, socialist regimes always turn tyrannical. The difference between democratic socialism and authoritarian socialism is the difference between a mob voting for the seizure of private property and a dictator—elected by that mob—ordering the seizure of private property. The 1998 election of Hugo Chávez as president of Venezuela is a classic example of how democratic socialism leads to authoritarian socialism. Although Chávez came to power with the legitimate support of a majority of Venezuelans, he was able to reinvent himself as an authoritarian dictator once the levers of power were in his hands. There is truth in the maxim that a government big enough to give you everything you want is big enough to take away everything you have. 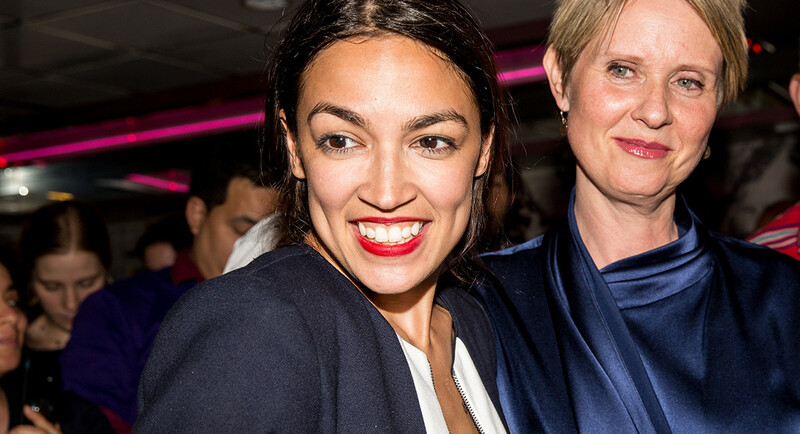 Cortez’s victory reveals that many Americans believe socialist ideals will solve the nation’s problems. If they knew the history of Cambodia, China, Cuba, East Germany, Laos, Nicaragua, Venezuela, Vietnam and Zimbabwe, they would know that democratic socialism is merely a stepping-stone on the path to authoritarian communism. Modern proponents of socialism downplay its subversive goals, but a centrally planned economy cannot be established in the United States until its constitutional form of government is overthrown. This is why socialists aim to destroy America’s current system of government and replace it with another. This strategy can only lead to violent revolution.